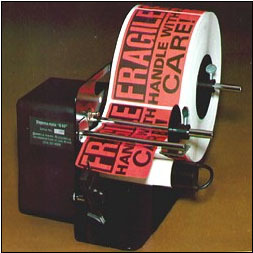 Power Advance Dispenser for printed labels in rolls, or one up fan fold computer print out labels. 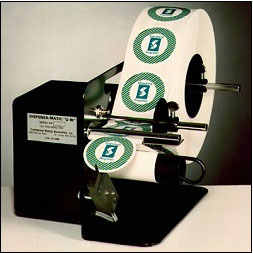 Accepts formats up to 4 ½" width and rolls up to 9" diameter and dispenses most standard labels without difficulty. 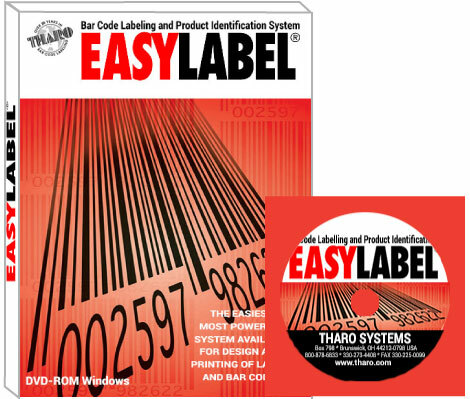 Vinyl, acetate, foil or other very thin stock may require a sharp edge plate or other special modification of the dispenser, and if you are contemplating printed roll labels please send 60" length of labels with your order to permit us to make a recommendation, if one is needed. 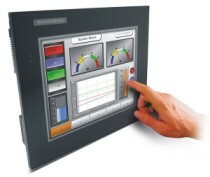 The U-60-(S) accepts 6" widths.